I’ll be honest: when I read the press details for Book of Promises, I didn’t know what to expect. Sci-fi rock opera? What?? But to be even more honest? I was blown away. A genre-blending, mind-melding mix of everything from ambient soundscapes to hints of indie-folk influences, heavy rock sounds, and a silky Arabic groove layered beneath “The Skinny,” Book of Promises is the kind of release that music journalists — and fans — long for: varied enough to offer everyone something to love, but tied together by the Walker sisters’ lilting vocals. Monika and Karen Walker, the sister-duo at the helm of The New Tarot, proceeded to write the album, which coalesced into the overarching story of a young man who believes he has summoned an angel, while applying some of John Dee’s philosophies to the current political and social climate. “Trump had not even announced his (candidacy) when this story came about. The songs just came to life and started telling us something that felt very urgent,” Monika went on to say. “Kingdom,” the opening track, lures listeners in with ethereal, choral vocals, fuzzy synth, and winding harmonies before launching into “Angel.” “The Skinny” follows, the vocals entrancing and the slow, Arabic-inspired groove threatening to wrap listeners in the sisters’ spell. 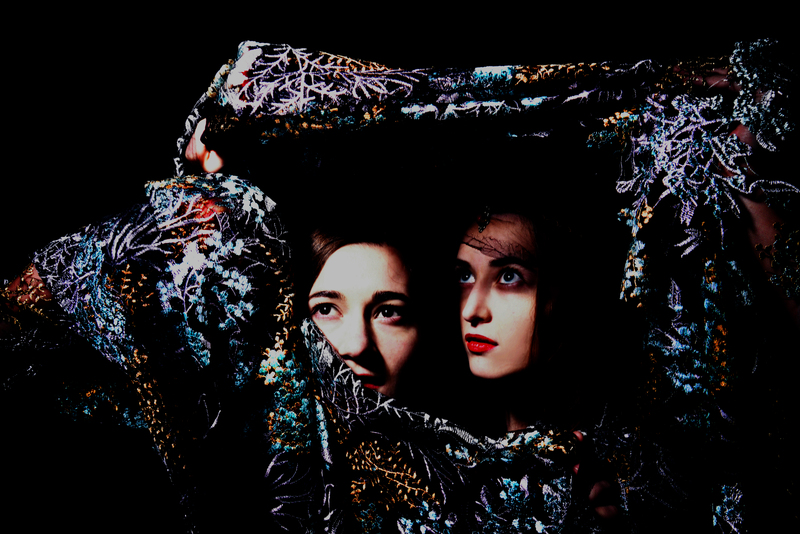 A heady mix of their greatest inspirations — David Bowie, Regina Spektor, and The Flaming Lists — the sisters’ use of synth-pop and blazing alternative rock launches them from the overwhelming noise and into the spotlight.